We are finally here, the second invitation only event from Apple has arrived, and I for one am excited. Most are awaiting an announcement for the rumored “iPad Mini”. If revealed it will be a Google Nexus 7 rival and will likely blow all other 7-inch screen tablets away. If the price point is there, there will be no stopping it as the happy medium between iPad and iPhone. Though the difference will be in the details. Adding cellular data network ability, Lightning connector and Retina display will definitely add to the device’s favor. 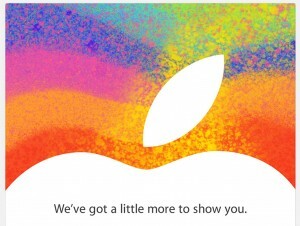 There is also speculation of a new MacBook Pro, iTunes and possibly new iMac. Though with Apple, who really knows. All is kept secret and nothing is for sure. Let’s hope for an extraordinary “One more thing”.